Shabbat TotsAll the pictures of our classes! Click here to see pictures.. Registration Open!Make your appointment today! Follow us on InstagramWhat's happening in school? 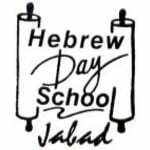 Click here..
Babyccino 2018Look at the last classes we had of Rosh Hashana, Yom Kippur & Sukkot! We had and amazing time! next class: Chanuka Click here to see pictures..
Shabat TotsGive your baby a Shabat experience with early stimulation classes where they can use and develop all their senses. Click here for more info..
To know more info about the program you can contact us at 4010-1616 or 2228-0819.